Stunning race livery and a list of enhancements make this motorcycle the most sport’s orientated tourer ever. 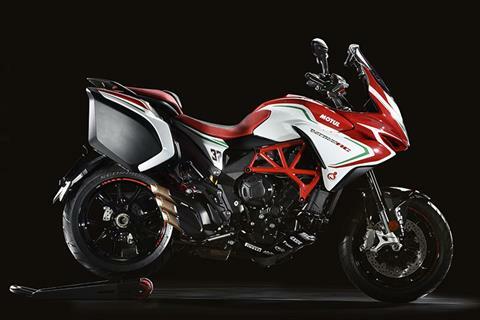 A revolutionary product concept came before distinctive aesthetics; the Turismo Veloce has redefined the idea of a touring motorcycle. 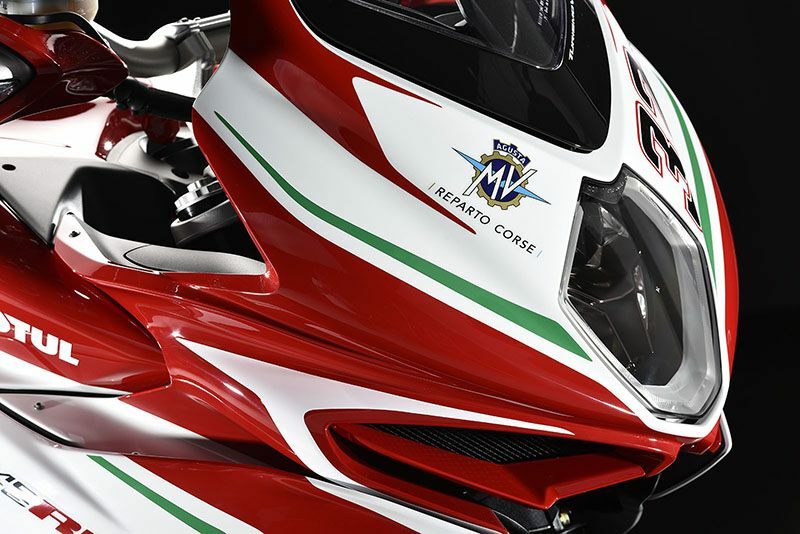 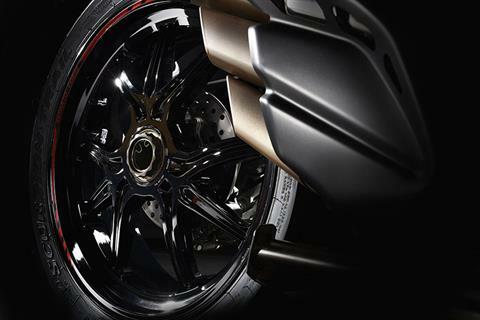 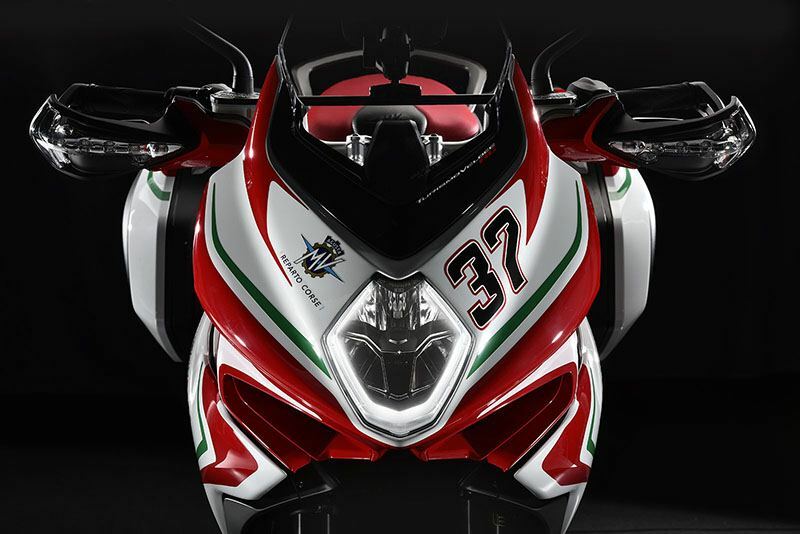 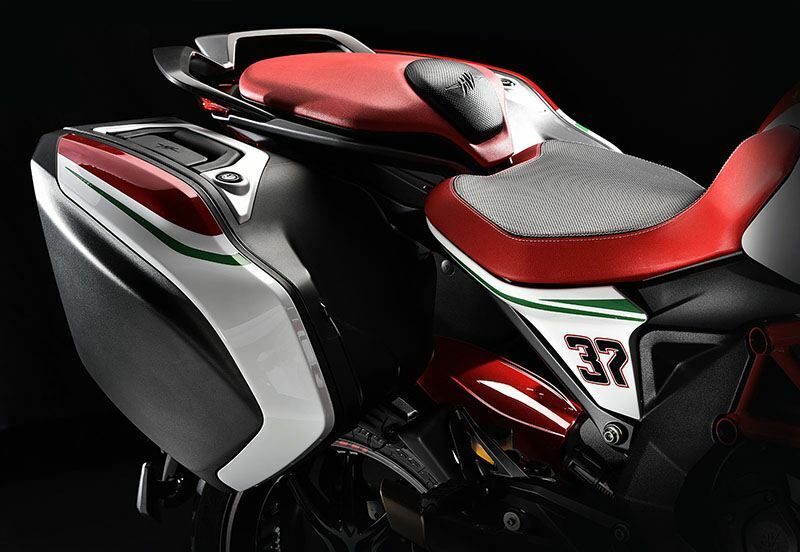 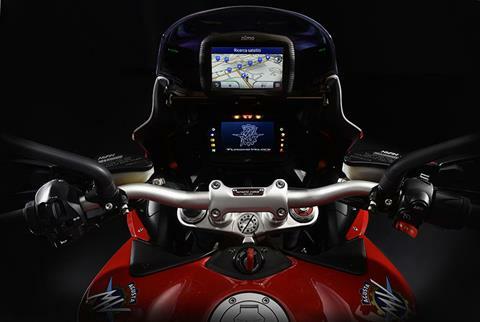 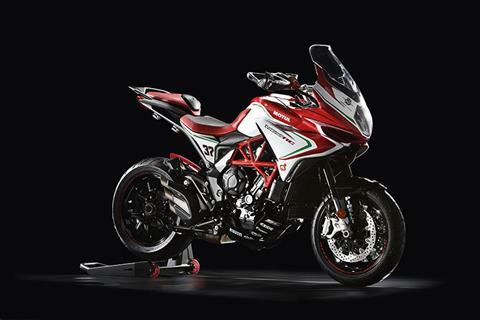 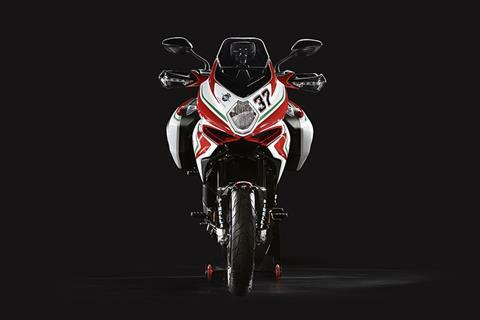 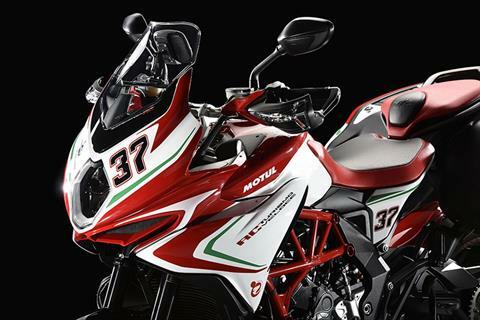 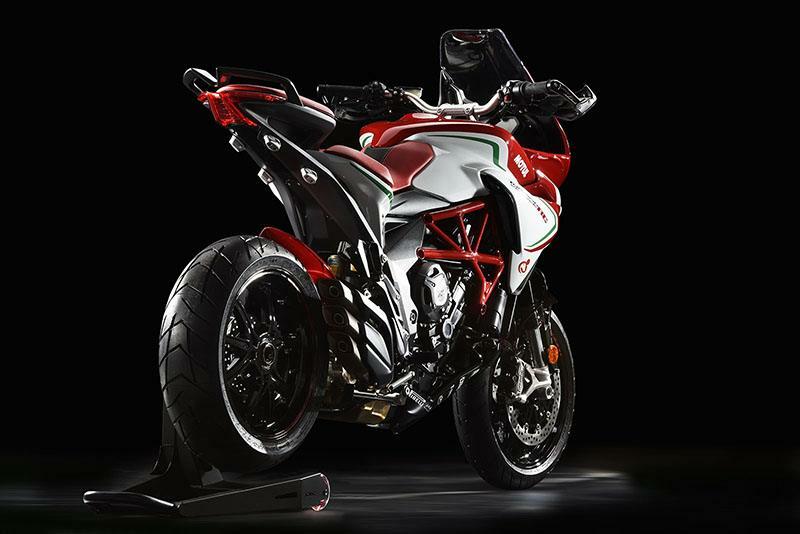 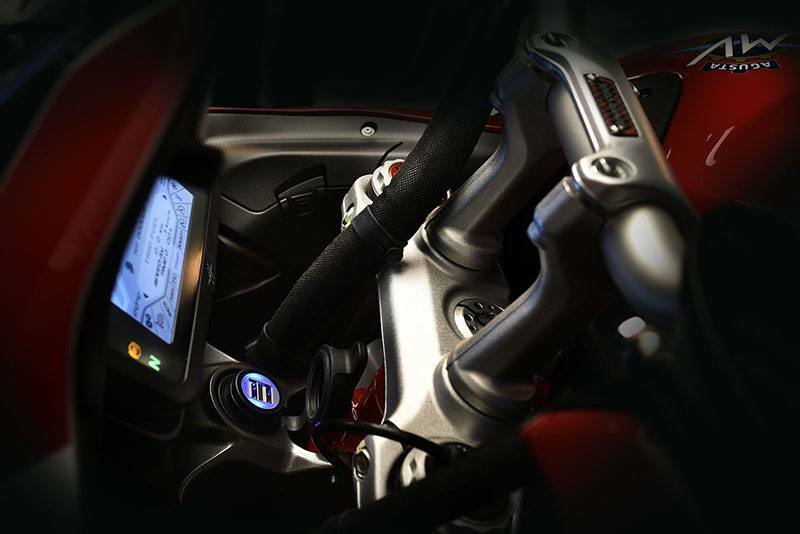 MV Agusta has re-prioritised and redefined the objectives, focusing on compact volumes, minimal weight wrapped in a unique design. 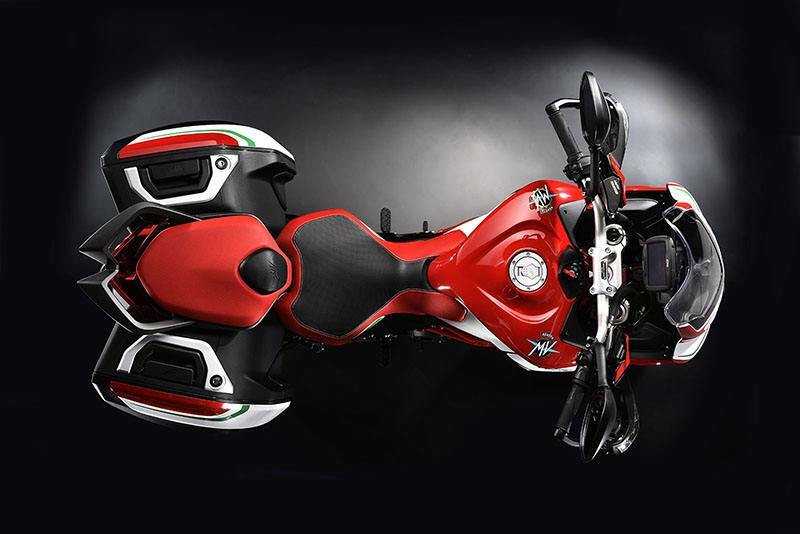 Initial studies took into account the side mounted luggage, designed to integrate seamlessly not only with the lines of the bike but also with the supporting structure of the rider seat and passenger. 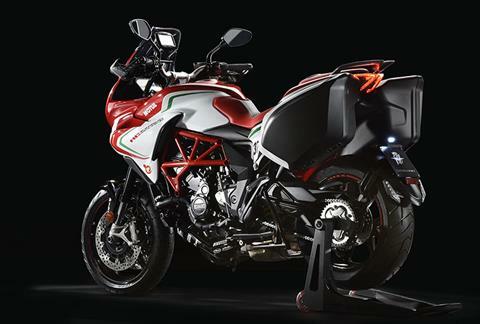 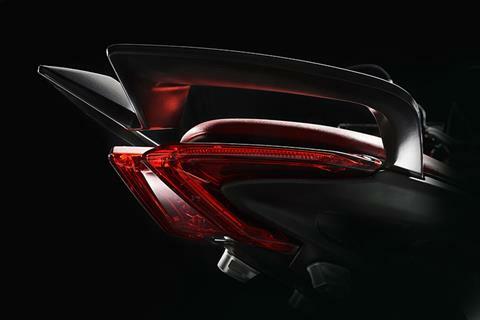 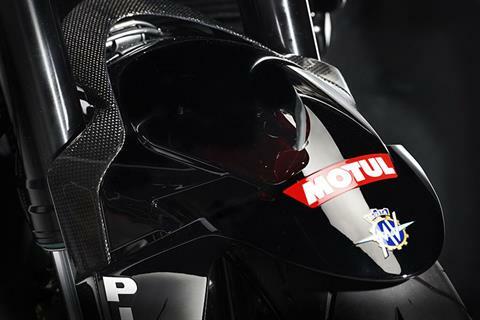 When the luggage is removed the bikes character is transformed and characterised by a lithe, dynamic profile. 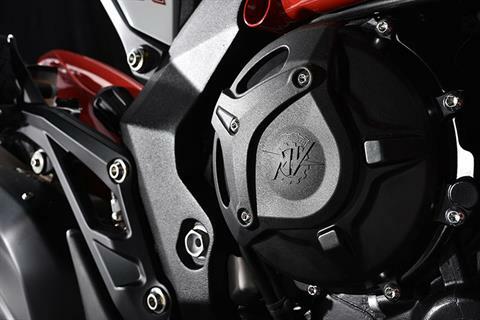 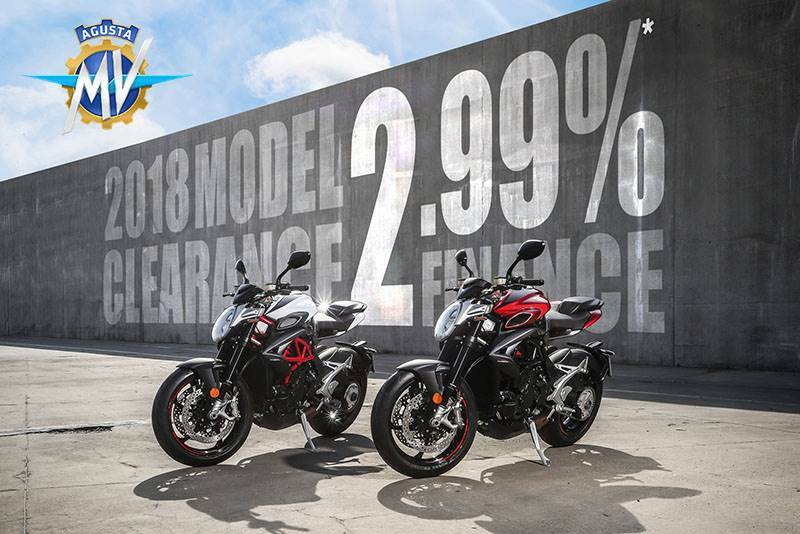 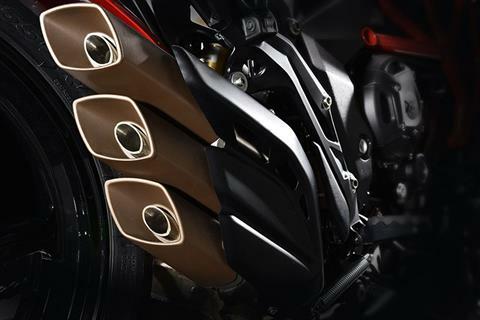 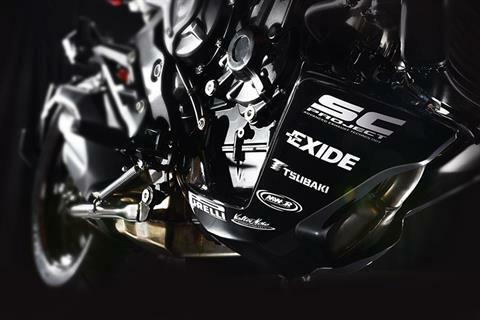 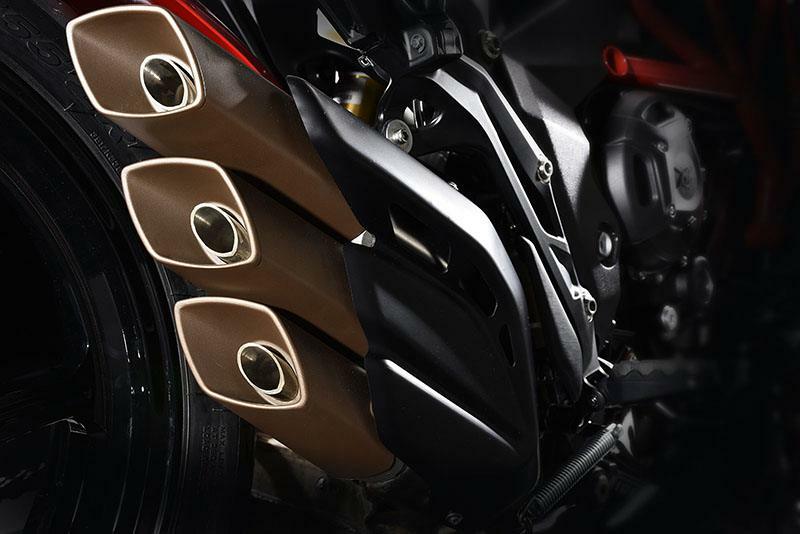 Focused around a compact three-cylinder 800 cc engine – with a revised black surface treatment – the “Fast Tourer” offers an unaccustomed light weight to power ratio for this segment. The use of LED lighting technology combined with a graphic DRL (Daylight Riding Light) has created a unique identity for this vehicle, making this bike immediately identifiable, even in a fleeting moment when encountered on the street.